Peeling away the veneers of history | A balanced diet . . .
Witley Court. Just a few miles west of Droitwich in north Worcestershire. A shell of a ruin, having been destroyed by fire in 1937. It had been the home of the Earls of Dudley. 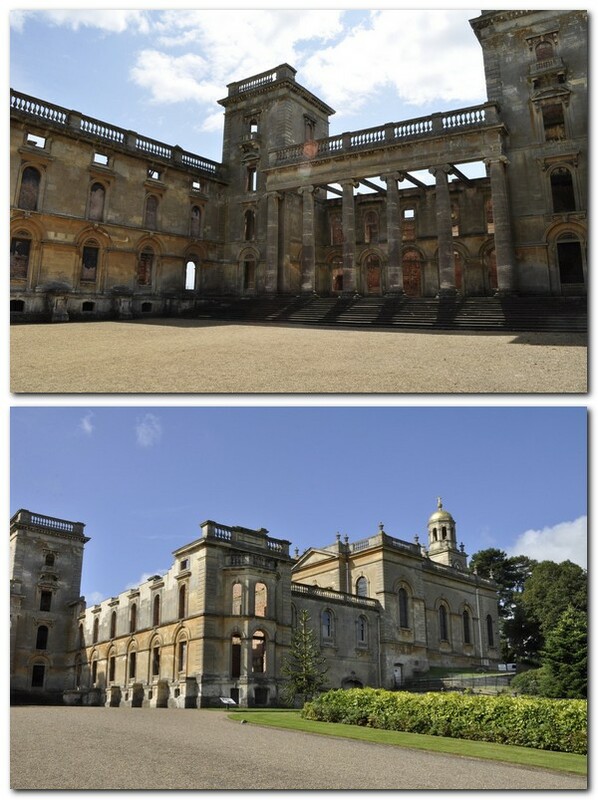 I’m not sure who actually owns Witley Court today; it’s managed by English Heritage. And being just 30 minutes by car from home, we consider it as one of our ‘local’ heritage destinations. 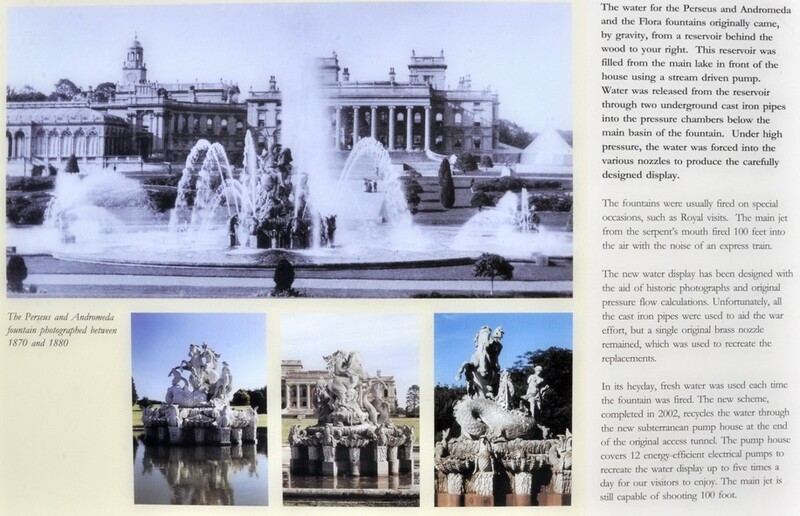 We’ve been visiting Witley Court since the 1980s. Then it was freely open to the public. There was no paid access as there is now. Alongside the ruin stands the proud Baroque Church of St Michael and All Angels, not actually part of the English Heritage management of the site, and still in use as a parish church to this day. It must boast one of the most illustrious interiors of any church in the country. Anyway, to cut a long story short, and it being a fine bright day yesterday, we decided to make another visit, have a walk through the grounds, see the Perseus and Andromeda Fountain fired up (every hour on the hour from 11 am onwards, for about 15 minutes), have a picnic lunch, and still have an afternoon to spend at home. I didn’t feel like making a long journey as we will be off to Northern Ireland a week hence, exploring that Province and all the National Trust treasures it has to offer. And wandering around the grounds, I took time to carefully read the various information signs that I hadn’t bothered with in the past. And I learnt several new things about Witley Court. There’s been a house on the site for several hundred years, being transformed from a relatively modest 17th century Jacobean mansion, to the magnificent, somewhat ostentatious Victorian mansion, the ruins of which are still standing. 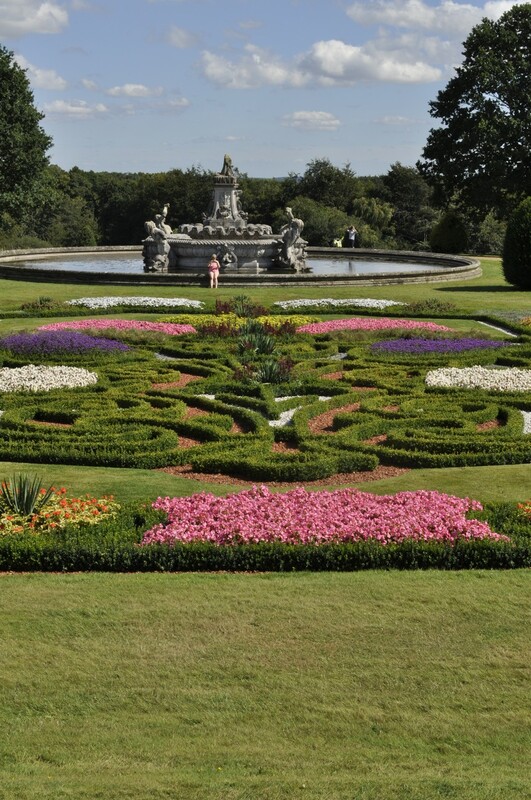 One of the glories of Witley Court today is the East Parterre. Planted with a variety of plants, the lavender was past its best, and perhaps the overall was not as vibrant as when we saw it in 2016, almost exactly one year ago. After the 1937 fire, most of what was not damaged was stripped from the house. The grand conservatory on the west side of the house was not damaged in the fire, but was nevertheless stripped. Today it’s planted with lavender, and gazing through the empty windows towards the Perseus and Andromeda Fountain, one can imagine what the house must have been like in its heyday. 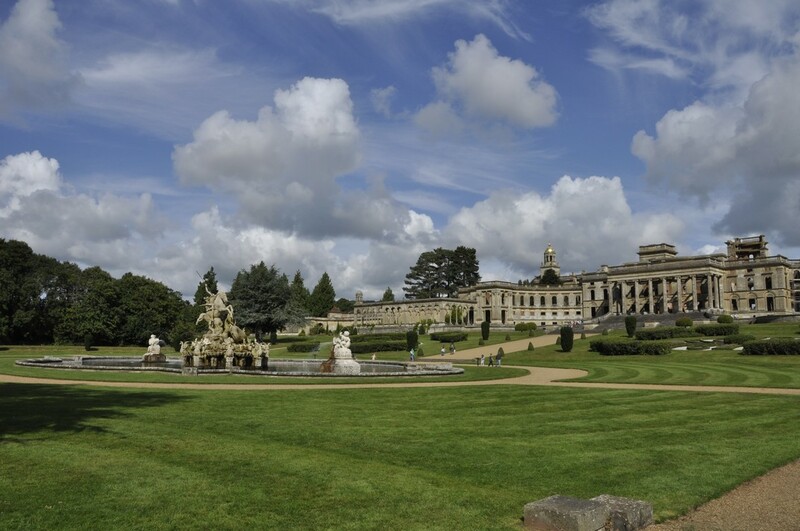 Probably the most admired feature at Witley Court is the Perseus and Andromeda Fountain, that was completely refurbished in 2003 (at quite a staggering cost, more than £1 million). But it was worthwhile. It’s magnificent! 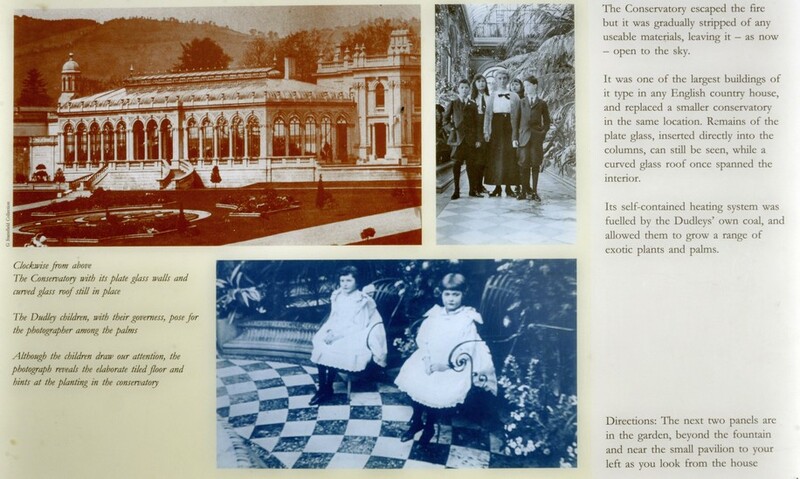 It was undergoing further renovation in August last year when we visited, but was re-opened in April this year. There are also woodland walks, taking around 30-40 minutes, the ubiquitous shop, and a tea room is open at the church (but not managed by English Heritage). Entrance to the church is, by the way, free. To appreciate more fully what the Witley Court estate and ruin looks like, I came across this aerial video on YouTube, taken by drone. 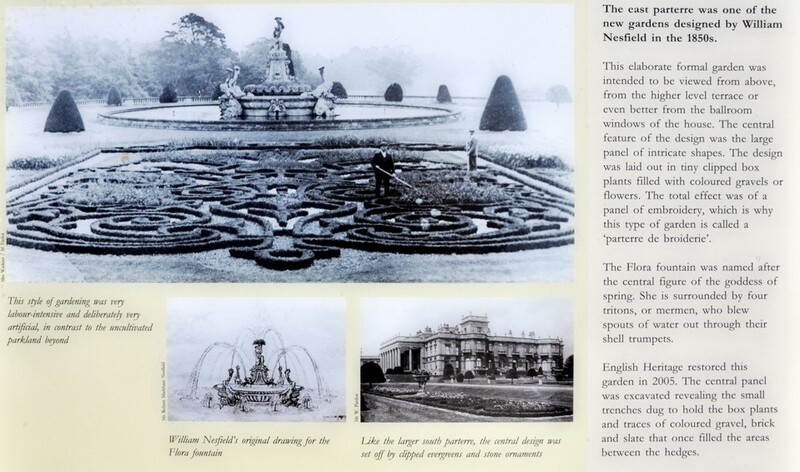 This entry was posted in Out and about and tagged English Heritage, Witley Court.